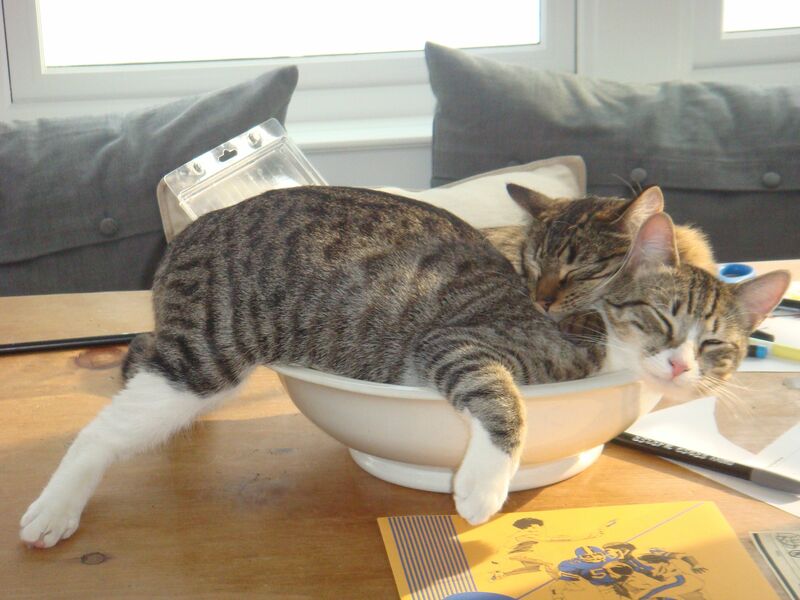 To a large mixing bowl, add two cats . . . 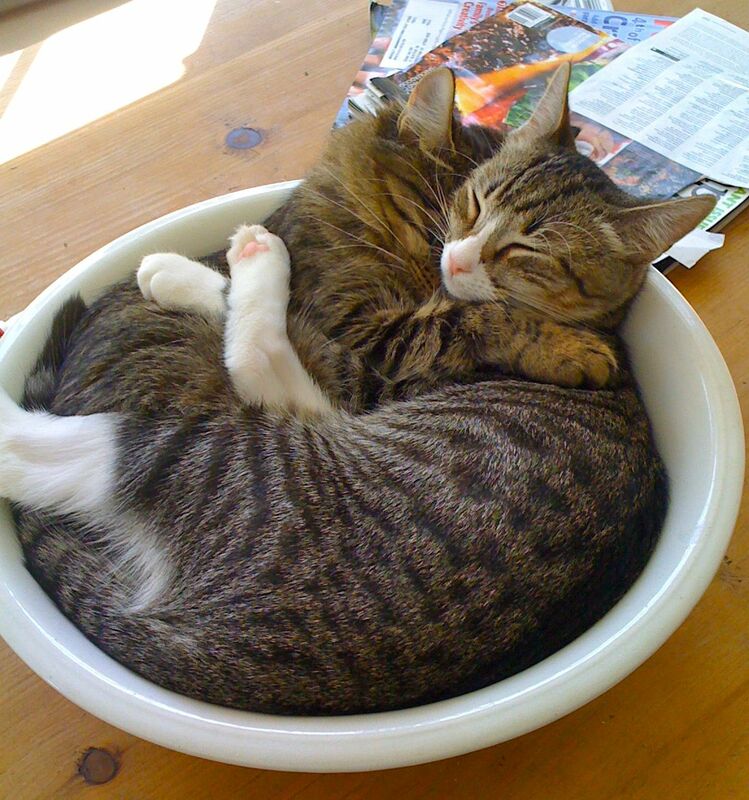 Comfort in a bowl! (These cats are no fools.) Happy April. This entry was posted in Uncategorized and tagged cats, cats in a bowl, white ironstone by subeeskitchen. Bookmark the permalink.